A matter of some delicacy: finding the perfect blue to restore the windows of a thirteenth century German chapel at the Palace of St. Anselm. Blackford Oakes, fresh from his daring exploits at Windsor Castle, is in charge. But Alex Wintergrin, owner of the chapel, is far more than a charming aristocrat and congenial companion. A charismatic hero, he is rising to power, rousing his countrymen to reunite Germany. 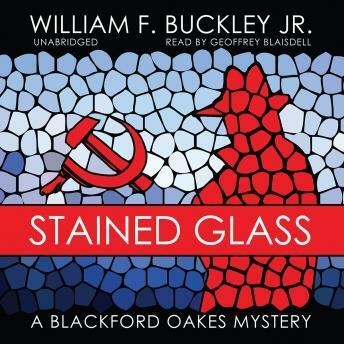 As the cold war turns hot, Oakes is thrown into the arms of a beautiful KGB agent and onto the horns of a dilemma. He must either pull the fatal switch on a friend, or find a way to change the rules. The narrator, and the writing, were so pompous that I couldn't stand this. I didn't even finish disc 1.